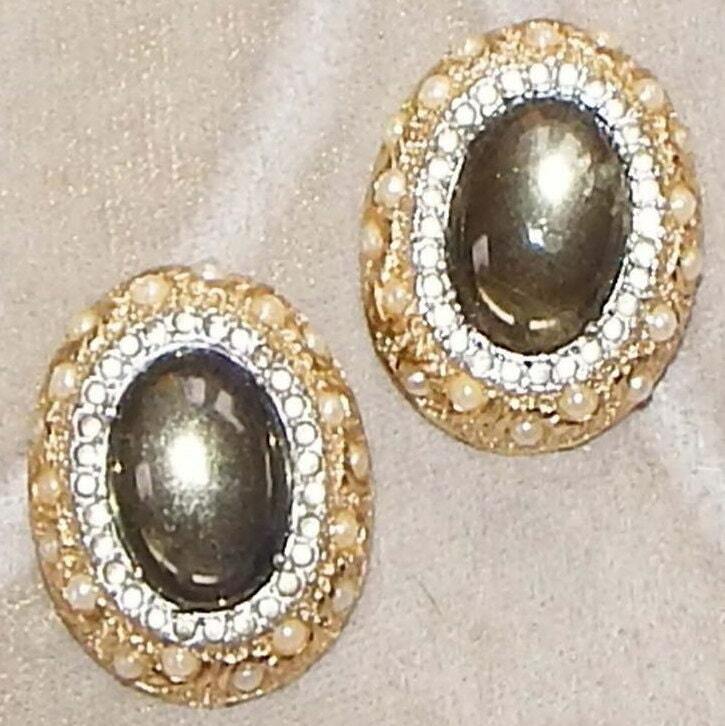 Spectacularly beautiful vintage Nettie Rosenstein Smokey Grey Cabochon Rhinestone Pearl Gold tone earrings. Clip-ons. 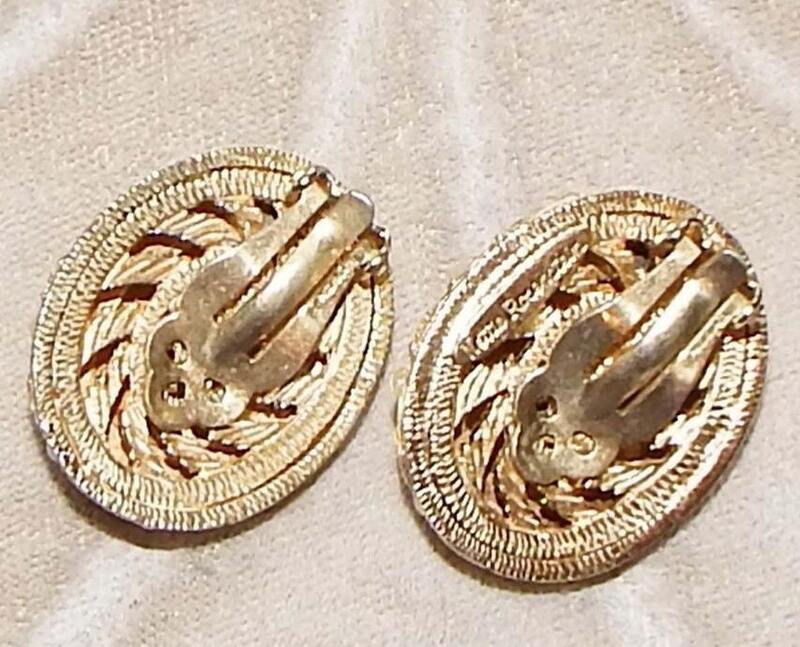 Stunning collectible earrings by Nettie! 1.25 inches long. Gold Tone Metal, Glass, Rhinestones, faux Pearl. Highly collectible!